Sumukh Torgalkar was born in Cleveland, Ohio to two Indian people. It’s a simple statement but covers the adventure that is Sumukh’s comedy. 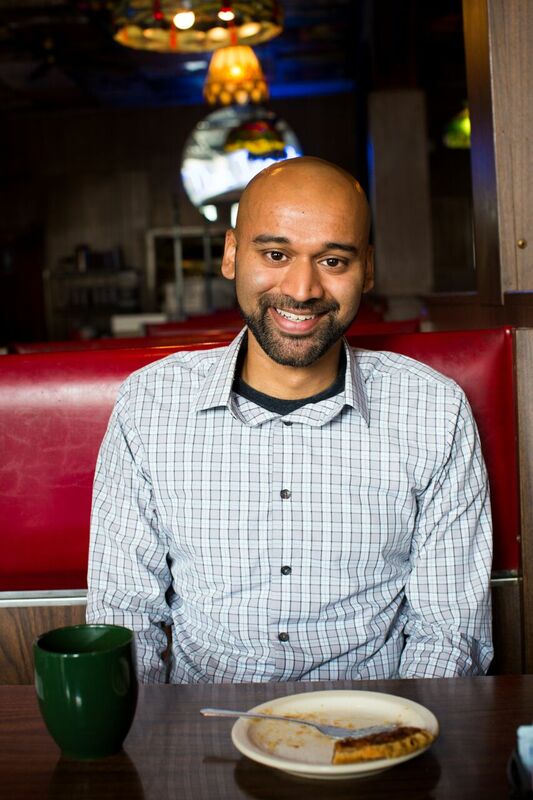 Focusing on such varied topics as his suburban Midwestern upbringing, his lovable Hindu family, his friendships with the elderly, and 90s R&B superstar Montell Jordan, Sumukh weaves his personal experiences and observations via his dry but engaging sense of humor. Sumukh began as a stand-up comedian in Columbus, Ohio and helped organize numerous comedy festivals and independent shows which led him to being labeled one of Columbus Alive‘s “People to Watch.” He is now based in Los Angeles where has hosted the monthly show, Laughterhouse 5, at Book Show in the wonderful neighborhood of Highland Park for over 2 years. He tours the country performing anywhere from independent stages to comedy clubs to colleges to corporate events all while accomplishing what one audience member described as “the impossible task of being funny to a group of people ranging from their early 20s all the way to their 80s.” He has opened for such major acts as Reggie Watts, Russell Peters, Maria Bamford, Kyle Kinane, and Chad Daniels and has appeared at Atlanta’s Laughing Skull Comedy Festival, Columbus’s Rock on the Range, Cleveland’s Accidental Comedy Festival, Boise’s 208 Comedy Festival, and Wilmington’s Cape Fear Comedy Festival. As a writer, he has contributed to MAD. His stand-up comedy album, The Mispronunciation of Sumukh Torgalkar appeared in the top 10 of the iTunes comedy charts upon its release, is in regular rotation on SiriusXM Radio’s Laugh USA (Channel 98), and has drawn rave reviews from fans and critics alike.